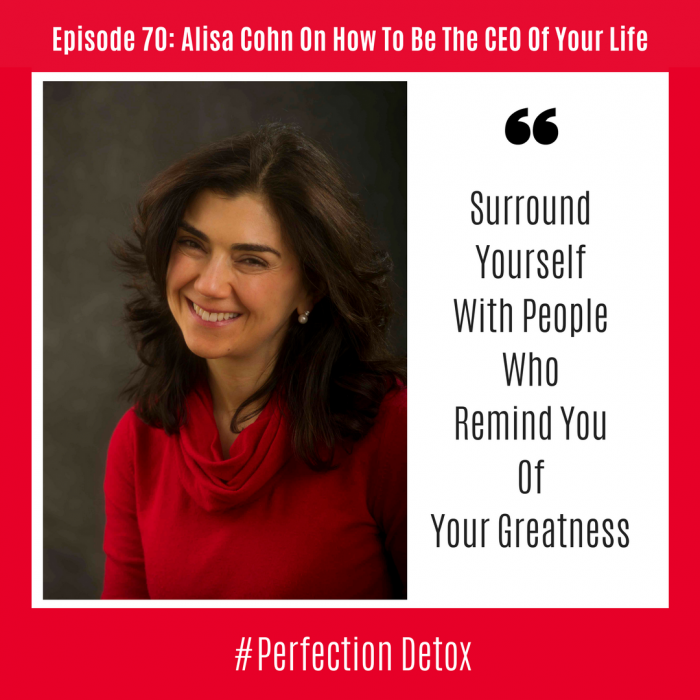 Alisa Cohn is an Executive Coach who helps executives, entrepreneurs, and leaders. In this show, she answers questions from our audience on leadership, motivation and how to bring out the best in yourself and others. Alisa talks about what it takes to grow a business and move it from two people into a company of two hundred. Her expertise comes in helping others cultivate resiliency and create strategies that will help them discover and move through the pain points without the emotions getting in the way. She talks about the mounting pressure that comes when everyone’s eyes are on you and gives tips on how to how to manage the stress and strain that come with any form of growth. Resiliency is crucial to any success and Alisa shares her strategy on how purpose will keep us going when times are tough. “Use your purpose as your beacon to guide you.” Knowing that you are going to do something significant in the world is where the juice lies. We go back in time to when Alisa first began coaching over sixteen years ago. She shares her struggles and that it was her tenacity, persistence, and drive that kept her going. Alisa shares ways that we can cultivate these traits. We talk about when to hold on and when to let go, especially when our emotions are so interwoven into our work. More than often successful companies have pulled out more than one miracle to keep going. We all need to surround ourselves with a tribe of people who will remind us of our greatness and yet tell us when it is time to let go. Alisa talks about the power of asking open-ended questions, and when we bring a sense of lightness and curiosity to each moment, we can help find the miracles. She also reveals the greatest question of all. (Tune in to hear what it is). We wrap up the questions from the audience by discussing the importance of self-care and how to make sure we take the time to nourish our mind, body, and spirit. Alisa is an executive coach who works with senior executives and high potential leaders to help them create positive permanent shifts in their leadership impact and the results they achieve. She works one-on-one with CEOs and executives and with senior teams to help them work together better and create much impact as a team. She works with Fortune 500 companies as well as start-ups. She was recently named one of the Top 100 leadership speakers by Inc. Magazine. Alisa is the executive coach for Runway – the incubator at Cornell NYC Tech that helps post-docs commercialize their technology and build companies. She serves on the Entrepreneurship at Cornell Advisory Committee and the President’s Council of Cornell Women.